Bruce Springsteen: Two Hearts is the definitive biography of one of the most important songwriters and performers of the last three decades. Critic Dave Marsh has traced Springsteen's career from its beginning, and has earned the singer's respect through his careful documentation and critical description of Springsteen's work. 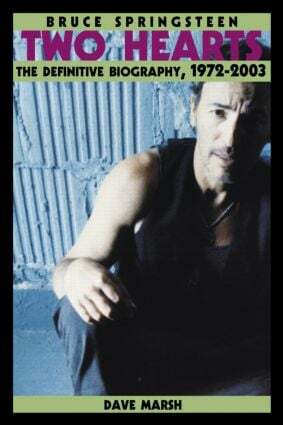 This biography brings together for the first time Marsh's two previous biographies, Born To Run (which covered Springsteen's early career through the mid-'70s) and Glory Days (which took him through the mid-'80s). Both were widely praised for their insightful and near definitive coverage of Springsteen's life and music. For this book, Marsh has written a new chapter covering major developments in Springsteen's career to today, particularly focusing on his album The Rising and its impact on American culture.